The term Russian has a different meaning from what people think. If you are talking about ethnic Russians, then the answer is yes, they do look white. They do look European. But, if you travel more, you will find a lot of people who actually look more Asian. Russia has more than 190 ethnic groups, so it is only natural they all have different looks. Ethnic Russians make up about 10% of ethnic Russians who have Asian DNA; they have ancestors assimilated Asians. Meanwhile, the rest make up about 80% of ethnic Russians who have European DNA. Not just Asian looking people, you will also find people from Chechens and Dagestan who have darker features. 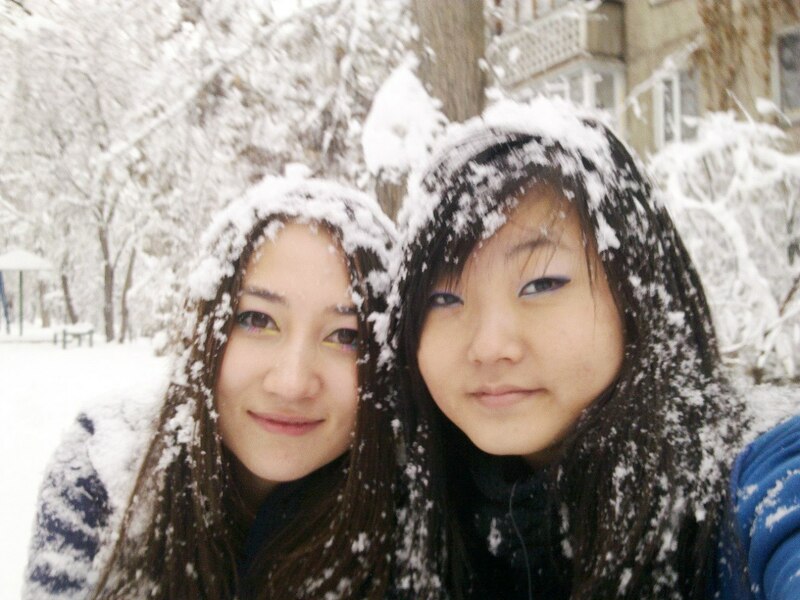 If you are still curious, here is a rounded-up list of 4 reasons of why some Russians look Asian. Russia is a multinational country which roles as a shelter for more than 190 ethnic groups. It is home to many; many ethnic communities aside from Russian people. It is hard to generalize and hard to prove or disprove the roots of the original ancestors. Stereotypical it may sound, most people always relate Russian look to that of European. Little did they know; there are a lot of Russian people who can be classified as ethnically Asian. That stereotype has been sitting in the back of people’s minds for quite a while, so, when they come to visit Russia for holiday, they are often surprised by its ethnic diversity. The rest of Russian population is either mongoloid (Tatars, Buryat, Siberian tribes, Tajiks, et cetera) or dark skinned Iranian (Chechens, Dagestani, et cetera). In conclusion, Russia is a multicultural and multiethnic country that has a wide range of people of different origins and ethnicities. As a result, in terms of look, Russian people have a lot of differences between them. Recently, there are many migrants coming from Central Asian countries, especially countries that are having problems with difficult employment and political situations. They come to Russia to settle in. It results to a significant increase in the numbers of Asian people whom among them, there are Kalmyks, Yukaghirs, Tuvans, Khakass, Chukchis, Eskimos, Aleuts, et cetera. They are called indigenous people who, in fact, are in closely related genetically to the Chinese. In addition to that, there is a long-standing population of ethnic Koreans residing in Russia. Initially, they were subject to the traditional Stalinist forced resettlements and deportations, that is why they were not exclusive to the Russian Far East by now. If you try to trace their roots back, you will find out that they have been settled in Russian Far East during the late 19th century. Mostly, they left their country due to poverty, and as the time went by, they quickly adapted to the Far East and stayed on empty farmlands. Since most of the Asian population of Russia lives in rural areas, it is particularly difficult to spot them. Koreans, Tatars, Uzbek, and Kyrgyz are the only Asian communities that are largely urbanized in Russia. They move from their initial homes in rural areas to Moscow or other economically developed cities. There are many ethnicities of the Mongoloid race in Russia and an attempt to identify each of them is exceptionally hard, because there are, at least, two main territories of modern Russia: Caucasian and Mongoloid. Those two races have been living side by side for a very long time, so it is not surprising if they have mixed in all kinds of proportions into Russian looks. For example, Asian-looking Tatars and Kazakhs in Russia are of mixed origin and have both Mongoloid and Caucasian blood. They have learned to live together ever since, respecting each other’s culture, and most importantly, the culture of Russia−the country which they have come to for permanent place of residence. This happening dates back to the era where Russia invaded a part of the world: Siberia. In terms of look, Siberian people have a little to nothing in common with the European roots of Russia. Additionally, all of Siberia used to be part of the Mongol. After the invasion, no Russians want to move to Siberia which results to the fact that the area has always looked Asian ever since. However, in modern days, Siberian people have mixed in with the European type invaders. Siberian-Russian mixture is particularly higher in central and eastern Russians compared to far western Russians. It is what Russian people are on average today. They are a mix of eastern Europeans with a good amount of Asian features already in them with Siberian native people. As a result, they gain even more Asian DNA. With 4 reasons why some Russians look Asian mentioned above, we can conclude that there are nearly 200 ethnic groups settling in Russia, which, in fact, some of them are indeed Asian. Depending on their level of integration, they can be considered Rossiyanye. What is Rossiyanye? Rossiyanye is a term used to describe ethnicities living in the borders of Russia, have Russian citizenship, and speak fluent Russian, though their backgrounds can be completely different. They vary from middle-eastern looking Muslims, to Muslim Turkic people, to Buddhist East Asians, to Finno-Ugric Protestants, and many more. Each of them has distinct cultures and appearances. Also, children who come from mixed-race families can be considered as Ruskii, in spite of having Asian features. Honestly, Russians will not think in the categories of Asian or European. They are big enough to call themselves just Russians. They may put the name of the region in addition, for example, Russian people from Siberia call themselves Siberian, but that does not make much different. It is just as tripling as if someone living in California would call themselves a Californian.